A South Farm Wedding in Royston that truly had everything! 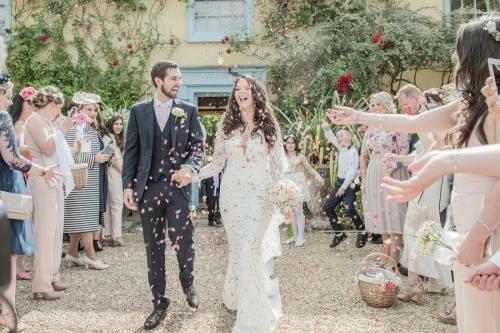 Amy & George’s absolutely scorching South Farm wedding! So much sun! An unforgettable day with a truly lovely couple. We’d met Amy & George a couple of times in their pre wedding meetings. We knew the day was going to be a lot of fun… we didn’t know until quite late that George was going to have quite a special best man…. his grandad! Who was not only great fun with the wedding photos – ensuring he had one with all the ladies but duly delivered a knock out best man’s speech. They’d starred on Say Yes To The Dress (the episode aired a few months after the wedding – we didn’t make an appearance (sad face) and it meant the film crew were there to showcase the all important dress – which has to be sdaid looked stunning on Amy.